Yuanyuan Que, a professional pianist, qualified and experienced music teacher, music composer and poem writer, graduated from University of North Texas and earned degree Maser of Music in Piano Performance, related field in Piano Pedagogy. 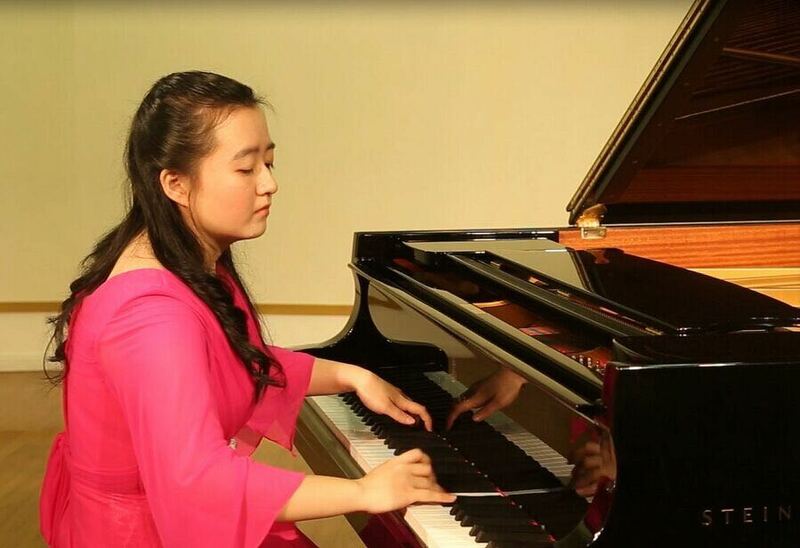 Her Bachelor’s in Piano Performance was earned from Sichuan Conservatory of Music. Her teaching is patient, happy and effective. She loves and enjoys teaching. She is very happy to share her knowledge and to keep learning new things. Her basic teaching philosophy is passion, purpose, creativity and growth. Using her passion to teach, share, give and lead students to find the real meaning of their lives; plans what she is going to do for her teaching; fosters and motivates students’ creativity; keeps herself humble to grow and learn in every day. She worked as piano instructor in YueBa Music Training Institute and Xingkong Music Training Institute.